Our return trip to Bangkok was an anniversary present to ourselves. To celebrate ten years together as a couple we wanted to return to the site of a great past trip and a city we loved; Bangkok fit the bill. Since this was Scott’s third time playing tourist in the city and my second, we were able to forgo some of the standard sights and instead really do and see only what we wanted to without feeling compelled to run the tourist circuit. High on our list of must-dos was buying new shirts and suits in Bangkok. There are several cities in Asia known for their large community of tailors and for offering tailor-made clothes at a fraction of the cost in the U.S. or Europe. However, it’s not as easy as it sounds to find a truly reputable tailor. In fact, as I learned, it’s pretty difficult. Since many people travel to Bangkok just to buy clothes, a variety of scams have of course crept up. The best advice I can give is that which I received by residents, never go with a deal that sounds too good to be true. If they’re offering a suit made in 24 hours for $100, walk away. It’s just not possible to get a well-made product at that price in that amount of time. So how do you know where to go? Well the best advice is to try to find a place in advance. Use Twitter, Facebook or Trippy to ask friends and strangers about their experiences and if they can provide a recommendation. Baring that, your ability to find a tailor comes down to luck and common sense. I asked several people for advice in advance of our trip and one of the recommended stories was conveniently located in a mall across from our hotel, the InterContinental. Still we weren’t sure and frankly I was nervous about walking into a place and starting a conversation and then finding out that the prices were too high or that it looked shady. Finally though we worked up our nerve and walked over. Unfortunately, the recommended shop wasn’t there. But there were several other tailors in the mall so we started looking around. Finally, for no reason other than ‘it looked fine’ we walked into the shop of Mr. Singh, the En Elle. One reason why we chose it was because of the wide variety of fabrics on display around the shop. I was shopping for suits, but Scott needed work shirts more than anything else. His daily dress code for work is business casual and he desperately needed new shirts. Still a little apprehensive we started talking with Mr. Singh and described what we wanted. Luckily there wasn’t a language barrier, although he was born in Thailand and is of Indian descent his English was flawless, which helped a lot. Immediately he grasped what we wanted, from style to how we prefer clothes to fit and I knew we were in the right place. Then started the arduous process of picking fabrics. It took a while, but it was actually fun looking through bolts of fabric that would soon be our new clothes. Finally Scott had assembled his picks for shirts and I had chosen two suit fabrics I particularly liked. Then came what I hate the most, the haggling. Even though Mr. Singh’s shop was in a posh mall and not Khaosan Road, Thailand is still a haggling culture and it is frankly expected. At the end of the day Scott’s tailor-made shirts cost $43 each, less than what he pays for ill fitting off the rack shirts at home. I bought two new suits and two shirts and paid $700; again this would have been a good deal at home but this was for perfectly fitting, custom-made clothes. We agreed to the deal and started the fitting process. Mr. Singh made meticulous notes of everything we wanted, from placement of pockets to lining to collar size and then took precise measurements of just about every part of our bodies. Even better, he – not us – insisted on multiple fittings. This is key, for a suit 2-3 fittings is appropriate and for a shirt 1 fitting is usually enough. We were in town for several days, so this wasn’t a problem. Keep this in mind though if you’re traveling and want to buy tailor-made clothes; you should visit the tailor the day you arrive. We returned a couple more times and started to really like Mr. Singh and his assistant Krishna. They were great guys with amazing stories to tell. 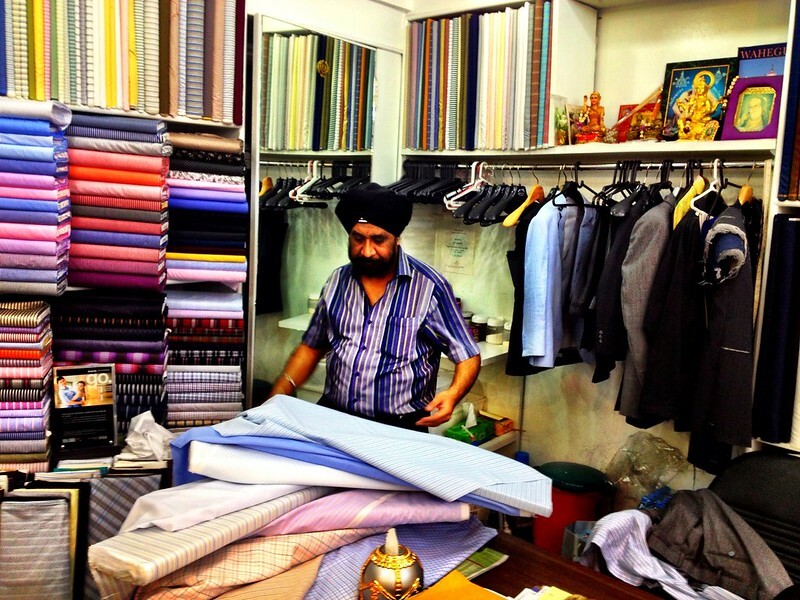 Mr. Singh was born in Bangkok and learned how to make suits outfitting soldiers during the Vietnam War. Ever since he’s been plying his trade at various locations around town, but this will probably be his last shop front. Sadly Mr. Singh will retire in a few years, but undoubtedly one of his family members will carry on the business. Krishna has owned businesses in the past, but events beyond his control forced him to close and join Mr. Singh in his work. Krish is saving and learning so he can open his own shop in a few years. We arranged to have the suits delivered to our hotel the night before leaving town. Krish himself brought them over and made sure everything was to our liking. I’m so happy to say that everything was perfect. Scott has never looked better, since the shirts were made to his exact measurements they fit perfectly. I don’t think I ever appreciated the importance of having truly well fitting clothes. We’re tall, so it’s difficult for us to find clothes that fit our height but which aren’t too big. Mr. Singh though nailed it. And me? I’m just as happy with my suits and grateful at having been lucky enough to find a tailor of Mr. Singh’s ability just by chance. 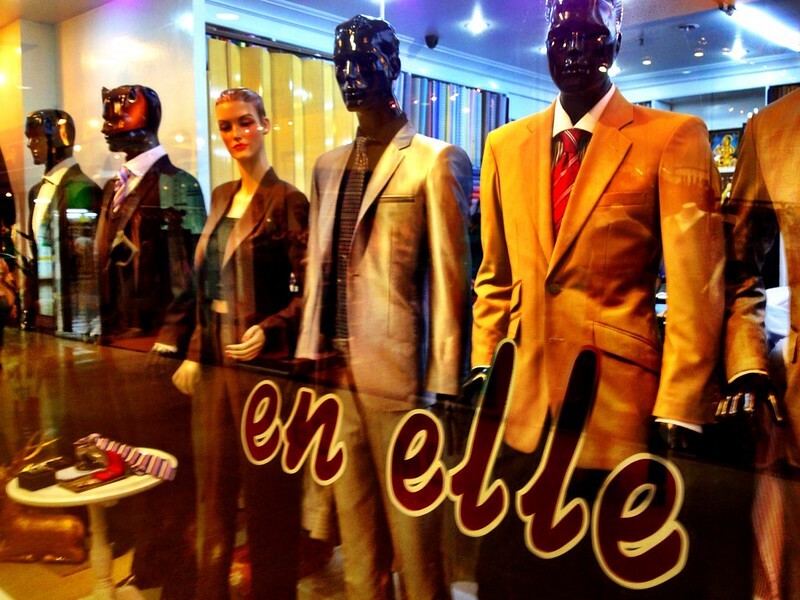 So, what to do if you want to buy some custom made clothes in Bangkok? Know what you’re looking for and then ask around for tailors that fit your needs. Know what to pay. 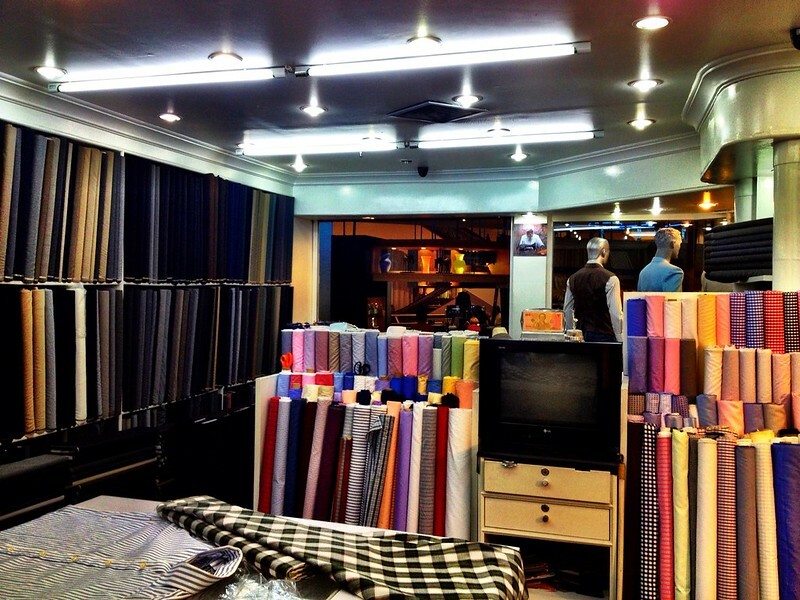 The prices we were quoted are the norm in Bangkok for quality shirts. Of course you can always spend less or more, but you sacrifice either experience of the tailor or quality of the fabric. Make sure the tailor insists on fittings. A suit is impossible to make without 2-3 fittings and even with a shirt at least 1 fitting is appropriate. Of course I have to recommend Mr. Singh, whose information I’ve listed below. I’m sure there are many quality tailors in Bangkok, but I just can’t recommend anyone with whom I haven’t worked. No matter what though, if it’s in your budget be sure to indulge in this well-priced luxury. I guarantee you’ll never look better – I know I don’t. Let’s see what the suits look like dude! Tease! I want to see you 2 in your suits!!! I really want to get some business suits made!! it sounds like a fun thing to do! Yeah, let us see your suits!!! !